Bentley’s Mulliner division is know for their upholstery expertise which by now has become an industry standard for bespoke and the highest quality levels of work. The Mulliner division recently put their hands together and crafted what can only be summed up as a fisherman’s delight and installed their handy work in Bentley’s Bentayga. The Mulliner’s kit looks almost too good to use. 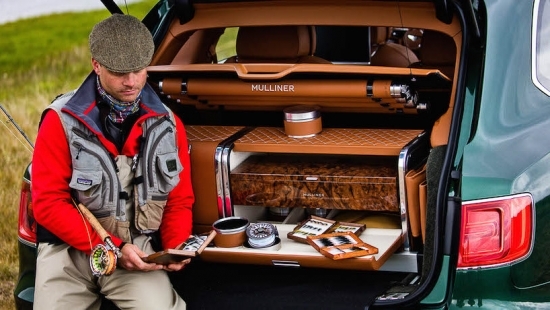 With the entire rear trunk area of the Bentayga setup to house fishining equipment, Mulliner trimmed everything up in saddle leather and Burr walnut. Lift up the rear trunk cover and four individually wrapped leather tubes are exposed which house four sets of fishing rods. The trunk is cleverly setup with pull out drawers which conceal storage for tackles and all of your fishing necessities. There’s also a compartment which houses refreshments, a china set, and also a food storage compartment. Although things might get messy with your catch, Bentley thought ahead and made the floor waterproof and installed an electronic dehumidifier to ensure smells are kept to a minimum in your luxury transport. Cars sharing platforms and engines is nothing new these days as every automaker is looking for a way to share costs to bring down production costs. The benefit is that we, as consumers, get to see a lot more interesting vehicles come to market when otherwise it wouldn’t be fiscally feasible. 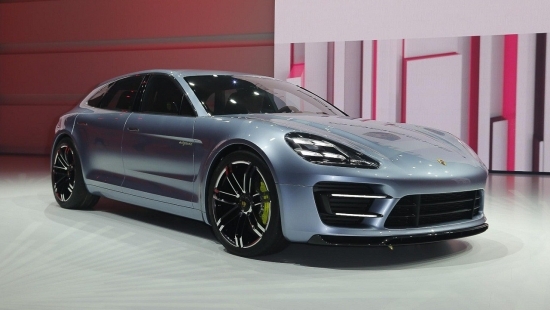 Porsche’s new Panamera uses a 4.0L twin turbo V8 which will also be shared in the Bentley Mulsanne. Audi might also get their hands on this motor to put into their A8. Outside of each brands performance lineup, the 4.0L V8 twin turbo will be one of the premiere engine choices across each manufacturer. The big lump is fairly capable producing 540hp and will produce 335hp at a mere 3000rpm. Now big is a relative term mainly due to it’s 8 cylinder configuration. But in comparison to other V8’s on the market, this powerplant definitely wins in its compact size all thanks to their “Hot V” design which puts the twin turbos in between the two banks of cylinders making the engine very compact in size. With the announcement of a whole stable of GT cars from Bentley, we were eagerly waiting for more pictures and details of the official car, and Bentley did not disappoint. The Bentley Continental GT Speed will utilize a 6.0L twin-turbo W12 engine that produces a massive 633 hp and 619 lb/ft of torque. Power will be delivered through an eight speed automatic transmission. According to Bentley, you can expect actual performance of the GT Speed to do 100km/h sprints in just 3.9 seconds and reach a top speed of 206mph. Those are impressive numbers but still not the fastest in the stable. Those bragging rights go to the Continental GT3-R which sprints to 100km/h in just 3.3 seconds. The first production run will hit showroom floors around summer and expect pricing of the GT Speed to start at $240,300 for the base model, $253,235 for the Black Edition, the convertible to start at $264,300, and the Black Edition convertible priced at $277,235. Bentley is known for making ultra luxury vehicles and spares no expenses when it comes to fine and exotic materials. 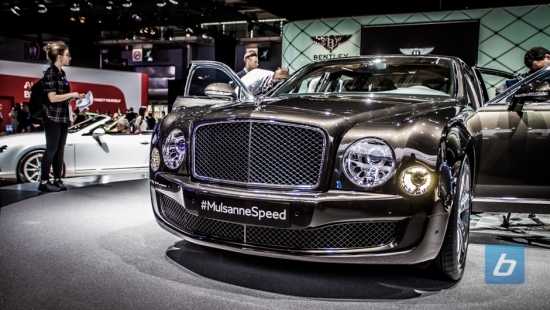 Today, they have taken to the Beijing Auto Show to debut an even more exclusive version of their Mulsanne simply dubbed the First Edition. Bentley will ensure hyper exclusivity to owners by only making 50 First Editions. For the lucky owners, they will be able to choose between the standard Mulsanne, the longbody version, and the Mulsanne Speed. 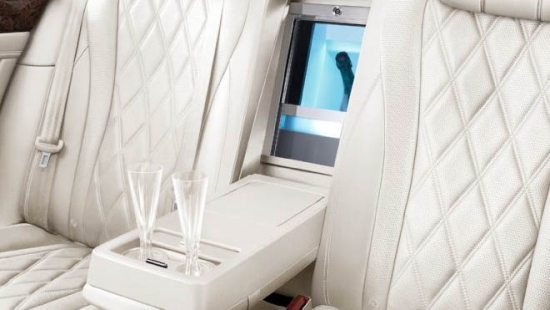 True to the Bentley way, the Mulsanne First Edition will have very limited options such as a First Edition only custom sterling silver vanity kit which is designed to fit into picnic table in the back seat. I mean why wouldn’t you want to have a custom vanity kit in your car? Oh, and lets not forget about the champagne cooler. This isn’t as exclusive a touch considering other Bentley models also can be purchased with that option. Pricing for the Mulsanne First Edition has not yet been released, but it shouldn’t be surprising that it’ll take a good chunk of change to be the owner of one of 50 cars. Then again, a chunk of change to me is just pocket lint to the interested buyers. 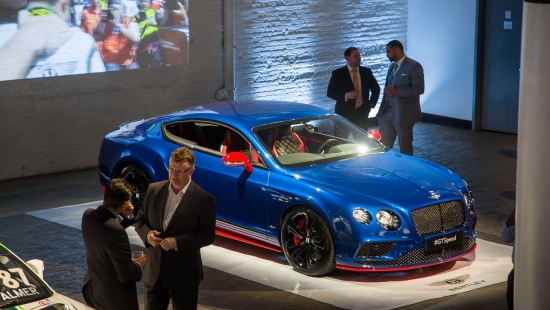 You may see the DNA of the new Bentley Continental GT in more than one place. The all new vehicle from Bentley will be sharing the new MSB platform with the next generation Porsche Panamara. Sharing platforms will allow both automakers to benefit off of each other. 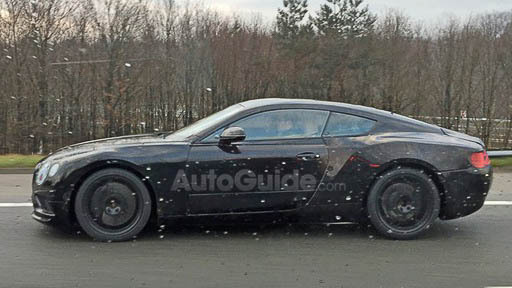 Recently, the 2018 Continental GT was spied without its camouflage on (photo courtesy of AutoGuide). The new Continental GT will likely have a number of optional powertrains for customers to choose from. As standard, the GT will utilize a 4.0L V8. 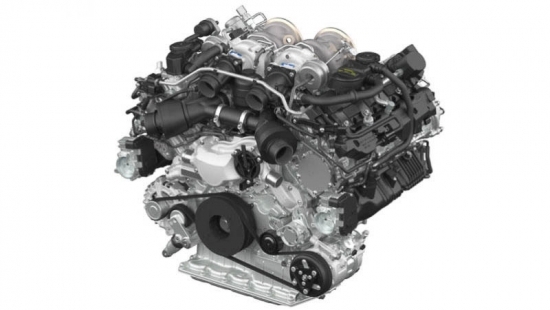 Also, the W12 engine will likely make an appearance in the powertrain option list. With the GT sharing platforms with the Porsche Panamara, it is likely that Bentley will introduce a plug-in hybrid to the powertrain lineup. The all new Continental GT will debut towards the end of next year. H J Mulliner started the Mulliner company in 1897 and is a well known and well respected coachbuilder. Acquired by Rolls Royce in 1959, the Mulliner group is now the responsible hands behind the ultra luxurious interiors of Bentley vehicles. For 2016, Mulliner is offering brand new interior options that have never graced the Bentley Flying Spur. Drivers of the Flying Spur can bask in the wonderful Mulliner’s signature quilt patterned leather interior which includes seat bolsters, door panels and the center console. Interior veneer options will now include painted and finely polished panels which brings in the exterior paint color to the interior cabin. Passengers, however, have many more toys to play with. You can now purchase a refrigerated bottle cooler which sits between the two rear passengers. With the cooler option, you can also purchase a bespoke bottle stopper and two champagne flutes that have bases designed to look like the wheels off of your Bentley. A custom storage compartment is hidden from view behind the two front seats. The compartment can be trimmed in a wide range of materials. Owners of Bentley clearly like the finer things in life. With these new interior options from Bentley, they now have even more places to burn through their spare change. 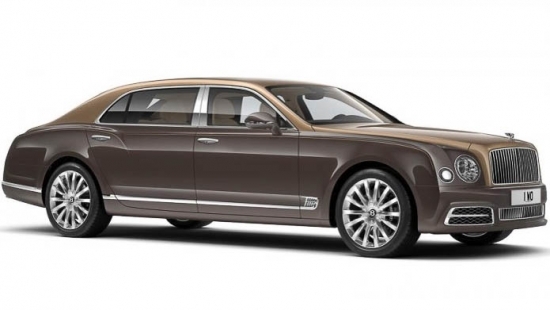 Bentley has always been known for their coach work and leather work. But you can now add masonry to that list. That’s right, Bentley is newly introducing this natural material as an option for their customers. It is said that Bentley will be sourcing their materials, which is slate and quartzite stone, from the Rajasthan and Andhra Pradesh regions of India. Craftsmen from Bentley’s Mulliner operations finishes each piece of stone veneers by hand. Each piece is described to be just 0.1mm thick which allows the stone’s natural characters to be reflected by light and admired by its occupants. 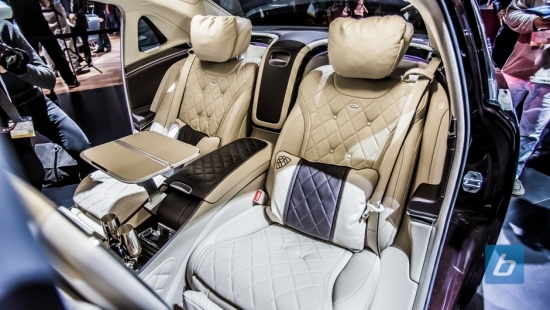 Bentley will be making this new interior option available on the Continental and Flying Spur models. Customers can choose from four color palates which will include Galaxy, Autumn White, Terra Red and Copper.